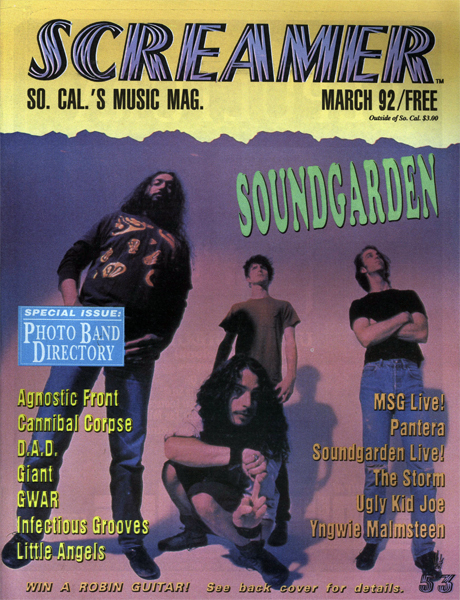 Soundgarden is a Seattle rock band who helped to define the sound that came to be called grunge. 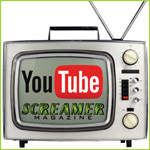 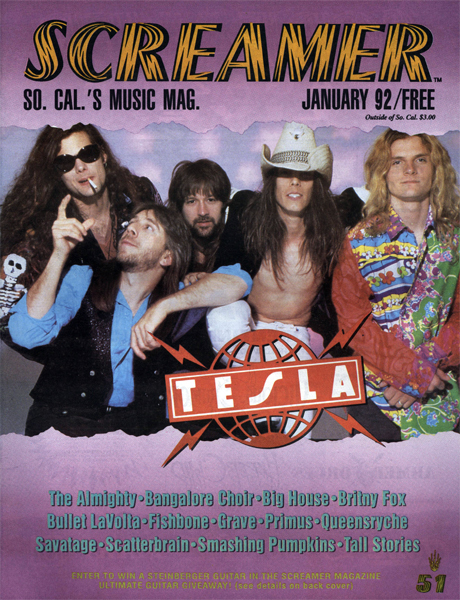 Despite starting years earlier, and having a sound that more closely resembled Black Sabbath or Led Zeppelin than their contemporaries, they are usually considered one of the "big four" of the `90s Seattle grunge bands, along with Alice In Chains, Nirvana and Pearl Jam. 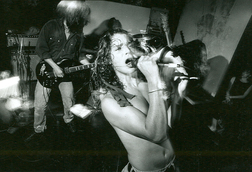 The band was formed in 1984 by Chris Cornell (vocals, and originally drums) and Hiro Yamamoto (bass), to be joined later by Kim Thayil (guitar) and Scott Sundquist (drums). 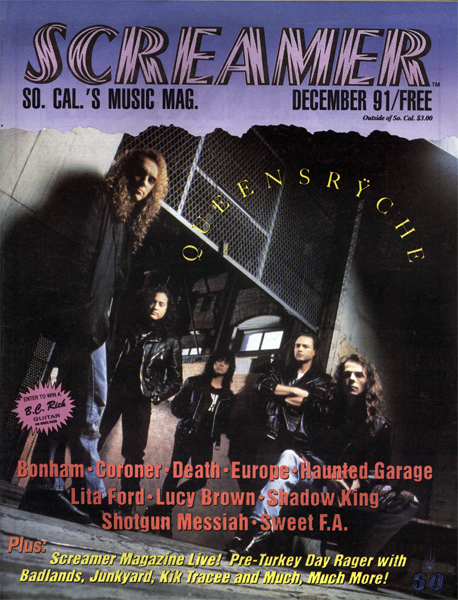 Issue: November 1992. 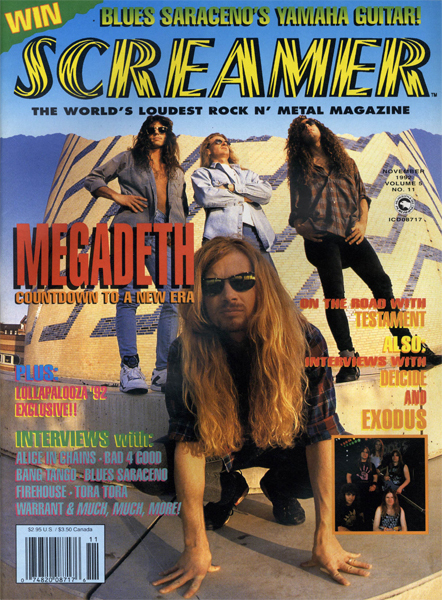 Featuring: Megadeath. 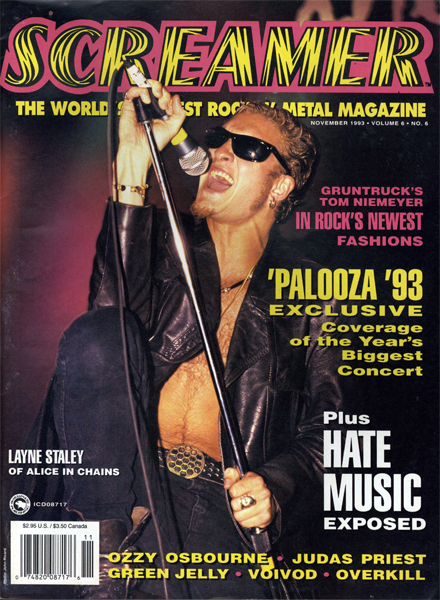 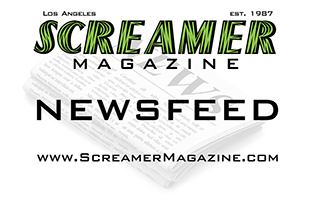 Also Included Alice In Chains, Bad 4 Good, Bang Tango, Blues Saraceno, Firehouse, Tora Tora, Warrant, Testament, Decide, Exodus and Much More. 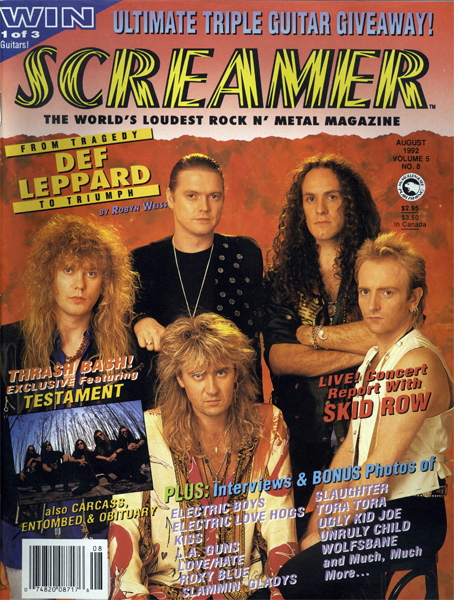 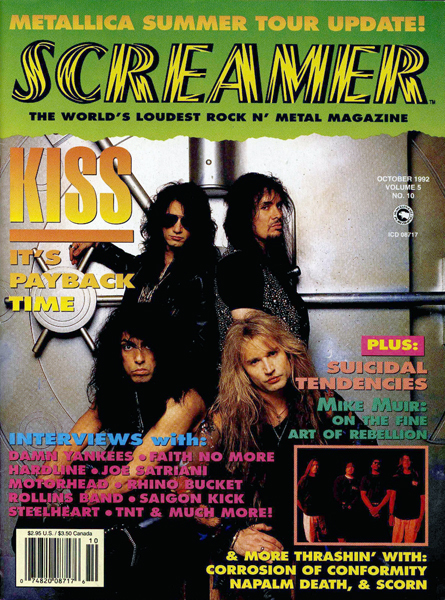 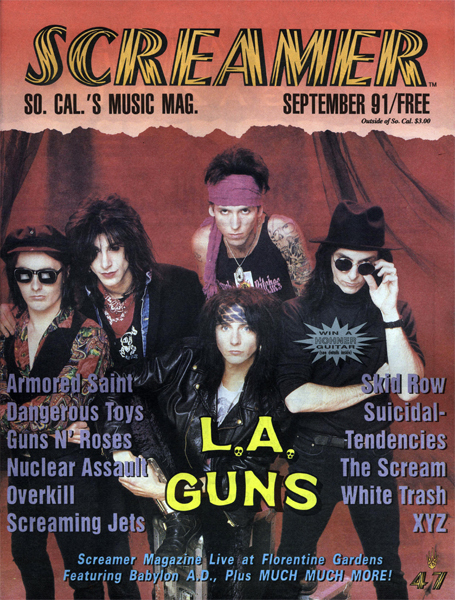 Issue: November 1991. 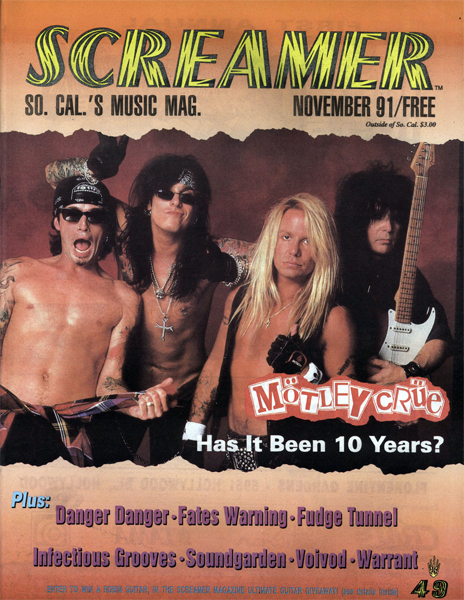 Featuring: Motley Crue. 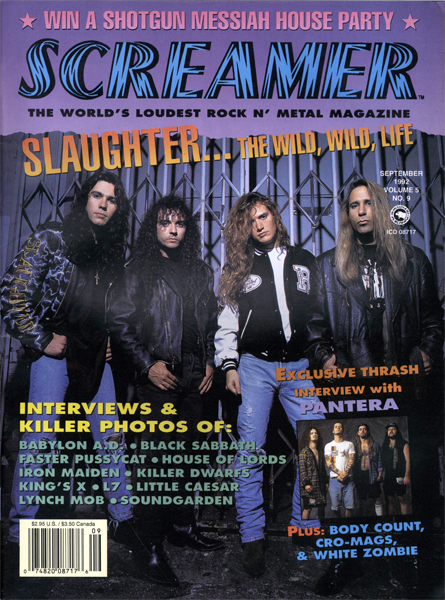 Also Included Warrant, Sound Garden, Danger Danger, Fates Warning, Fudge Tunnel, Infectious Grooves, Voivod and Much More.